Chances are the car you drive isn't a 1988 model. If it is, you can stop reading, but if it isn't, pay attention. A class action lawsuit charges that Dollar General is knowingly selling store-brand motor oil that's not safe to use in cars built after 1988. No one denies this. 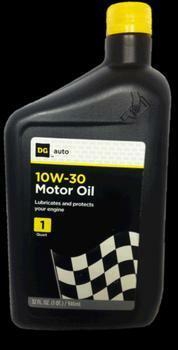 In fact, the discount chain admits in the fine print on the oil's label that it is not suitable for modern cars. Aggrieved consumers say no one sees the warning, which is in small print. In fact, a Houston man named Michael Deck sued Dollar General in 2015, saying that although the product has a disclaimer on its label, it "further disguises the obsolete and harmful nature" of its motor oils by placing them on shelves next to various other motor oils, such as PEAK, Pennzoil and Castrol, that are suitable for modern vehicles. The latest lawsuit was filed on behalf of Wisconsin consumers in Green Bay federal court. It charges that the "entire line of DG Auto Obsolete Motor Oil Products is unsuitable for the modern-day vehicles driven by its customers, except that it is successfully deceiving a sufficient number of customers to make this fraudulent practice profitable and therefore worthwhile,” Courthouse News Service reported. The Wisconsin class is represented by John Blythin of Ademi & O’Reilly in Cudahy, Wis.